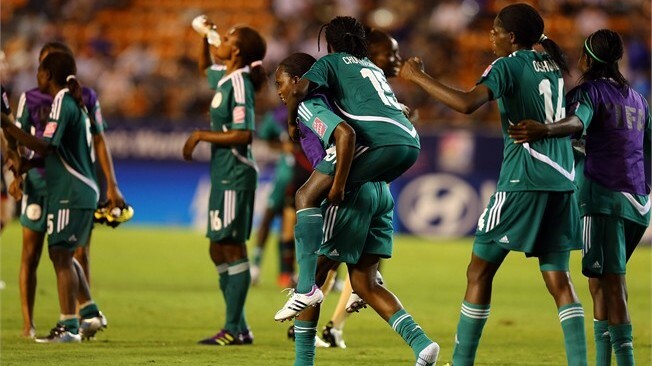 The Super Falconets of Nigeria have won their way into a second successive FIFA U-20 Women’s World Cup semi-final with a hard-fought 1-0 extra-time victory over a resilient Mexico in Tokyo. Nigeria, beaten finalists in Germany two years ago, were dominant throughout the first hour, but were unable to make the breakthrough until Desire Oparanozie’s decisive goal on 109 minutes. 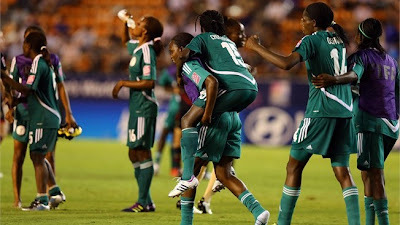 The Africans made much of the early running and appeared to have scored a crucial early goal when Francisca Ordega’s shot deflected past goalkeeper Cecilia Santiago on the quarter-hour, only for the offside flag to be raised for an earlier infringement. Almost immediately, Oparanozie forced Santiago into a sprawling save as Nigeria looked to turn the screw in the late afternoon heat. With far more possession in midfield, Nigeria were inching their way closer to breaking the deadlock, and Oparanozie rattled the crossbar with a shot eight minutes before the interval. The always dangerous Sofia Huerta, scorer of three goals in the tournament, made a rare incursion into the Africans’ penalty area just before the break, to provide some impetus for the Mexicans. However, the one-way traffic continued immediately upon the resumption, much to the delight of a large and buoyant group of Nigeria supporters, whose singing resonated around the National Stadium throughout the match. Approaching the hour-mark, Santiago again thwarted the Africans with an important block from Gloria Ofoegbu’s effort, and then again a few minutes later from Oparanozie. Mexico slowly started to make an impression and enjoyed a rare sight of goal midway through the second half, only for inspirational skipper Nayeli Rangel to direct her back-post header narrowly over. Nigeria’s midfield play became less cohesive and Mexico could have won it in injury time as a corner looped onto the crossbar. A fairly disjointed period of extra time was enlivened only on a few occasions, notably by Mexico’s Yamile Franco hitting the bar with an angled free-kick. With the match starting to swing back Mexico’s way, it was Nigeria who conjured a winner, with Oparanozie looping a perfectly executed header from Ugo Njoku’s cross over a stranded Santiago.